Below is a new print I made for the “REVIVAL” Print Portfolio organized by Josh Dannin, Adam Leestma, and Sage Perrott. 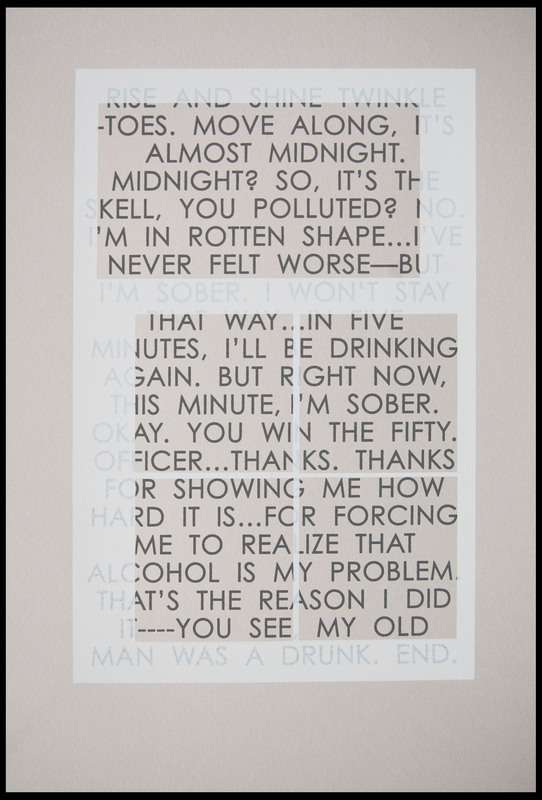 It is the text from page 23 in the comic, with a white layer overlay printed on gray paper. I wanted to find a new way of showing the correlation between the narrative and panel layout.